Kid friendly or black diamond. 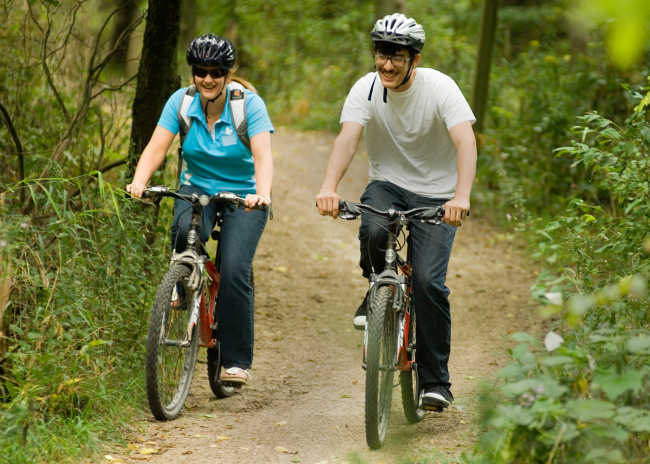 Wildwood Conservation Area has approximately 30 km of trails, including a 24 km loop route around Wildwood Reservoir. The loop is mostly single track trails with some double track on the north side of the lake trail. If you’re riding with younger kids, explore the Green and Red trails located close to the trailhead. If you’re an experienced rider and looking for more of a challenge, ride the entire Lake Trail loop and take both of the Black Diamond trail offshoots, Lake Trail is a directional loop meaning that on even-days it rides clockwise and on odd-days, counter-clockwise.